Maxine Blanchard Skaggs, of Cary passed away November 21, 2017 in Raleigh. She was born March 3, 1936 in Kilsyth, West Virginia, a daughter of the late Edward and Ethel (Wees) Blanchard. Maxine was a member of White Plains United Methodist Church in Cary. She enjoyed yard work and her flower garden. Maxine and Jack would travel to the beach and back to their home area of West Virginia, a time she greatly enjoyed. She was predeceased by her sister Betty Jean Holovic. 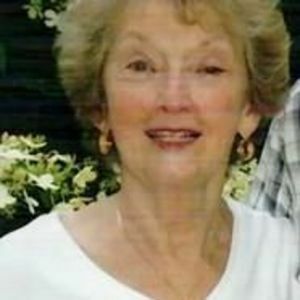 Maxine leaves behind her loving husband of 63 years, Jack Skaggs Sr. of Cary, her children: Jack Skaggs Jr. of New Hill, Elaine Lawson of Apex and David Skaggs of Cary; one grandson Matt Lawson, and a great grandson Hunter Lawson both of Apex. A funeral service will be held Tuesday at 1 pm at White Plains United Methodist Church SE Maynard Rd. Cary, NC 27511. A private committal service will be held for the family. In lieu of flowers memorial donations may be made to the Christian Appalachian Project PO Box 55911 Lexington, KY 40555.